What is this Powershell of which you speak? A week from tonight (8 Sept, 2015) you can find me online speaking at the Mississippi PowerShell User Group talking about The Art of PowerShell Runspaces. This is going to be a great talk and I will be covering a bunch of things on runspaces ranging from stepping into your first runspace build to throttling with runspacepools as well as using runspaces in your UIs. Near the end I will provide a demo of my module: PoshRSJob provides a PSJobs like approach to using runspacepools and runspaces. And anything else that I can think of! If you cannot attend, have no fear as this will be recorded and available for viewing on YouTube later on. Microsoft Cloud and Datacenter MVP working as a SQL DBA. 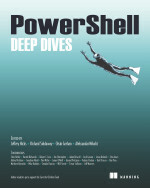 This entry was posted in powershell and tagged poshrsjob mspsug, Powershell, runspace, speaking. Bookmark the permalink. Received a 4 star rating on the Set-Owner contribution on the Technet Gallery. Received a 4 star rating on the Test-Port contribution on the Technet Gallery.